How do I Move Music from My iPod to iTunes? Connecting your iPod to iTunes and transferring music to your portable MP3 player is relatively simple, but Apple do not let you do the reverse, and move music from iPod to computer. This guide will show you how to use free software tools to accomplish this task. Introduction - How do I Move Music from My iPod to iTunes? When Apple first designed the iPod range and its connectivity with the iTunes software, the company deliberately prohibited the ability to move songs from an iPod to the iTunes Library. This was put in place as an anti-piracy measure, and prevented a situation whereby people could use their iPods as essentially hard drives packed with music to share songs illegally with other people. However, sometimes you legitimately need to move songs from iPod to computer, not least if your PC or Mac suffers a hard drive failure and your iTunes Library is erased with it, leaving the music content on your iPod as your only remaining copy. Fortunately, enterprising software coders have stepped into the breach and created computer tools that allow you to access your music files on an iPod and transfer them to your computer and back into the iTunes Library. It has always been somewhat easier to transfer music from an iPod back onto a Windows PC, especially with the iPod ranges before the introduction of the iPod Touch, due to an iPod showing up in Windows as a portable hard drive. 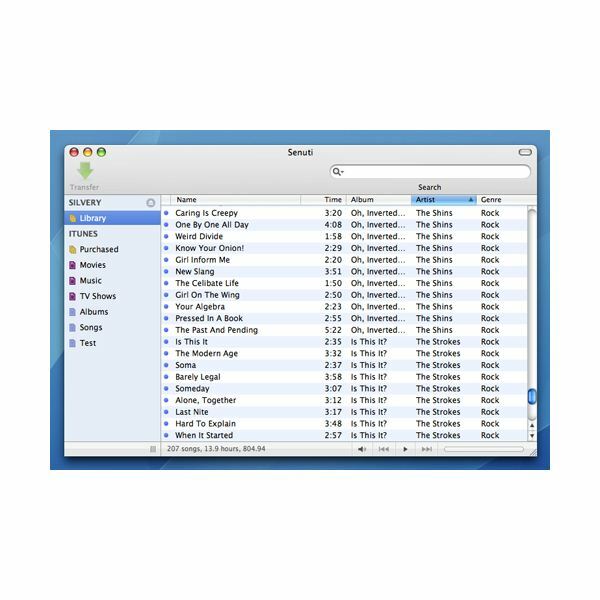 Enabling "View Hidden Files" by right-clicking on the iPod icon in My Computer would allow you to view the Music folders on the iPod. However, iTunes encrypts the names of music files when it transfers them to an iPod, meaning that each file would have an incomprehensible file name. If you dragged a music file onto the desktop, though, and then added it to your iTunes Library through drag-and-drop, iTunes would recognize the Artist and Album metadata in the file, so the song would appear in iTunes as before. This method still works with the iPod Classic and iPod Nano ranges, but is somewhat cumbersome and time-consuming, as well as incompatible with the iPod Touch and iPhone ranges, which use a different file storage system. Fortunately, there are several solutions on Windows to enable you to move music from iPod to computer quickly and simply. For the iPod Touch and iPhone, Winamp has a plugin available called ml_iPod. This allows you to access the iPod Touch and iPhone and transfer music both to the MP3 player and move songs from iPod to computer. These music files can then be simply dropped onto the iTunes interface to restore your Library. 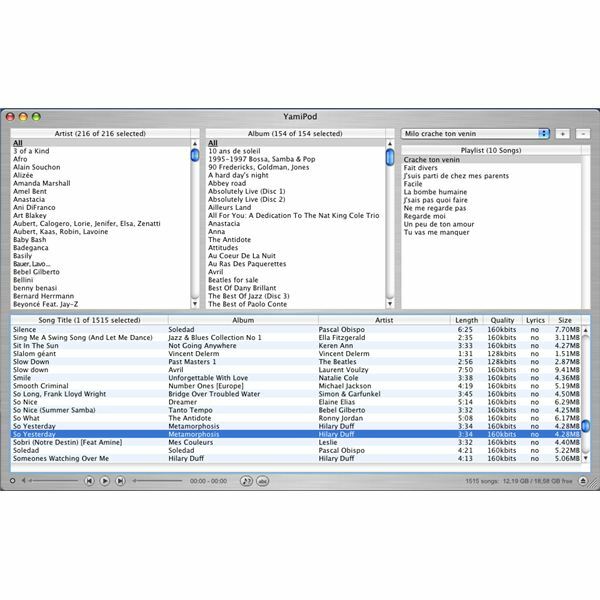 For the iPod Classic and iPod Nano ranges, YamiPod is a great application for managing your iPod files, and has the added benefit of being compatible with Mac OS X and Linux as well. It is a stand-alone application, meaning it can be run from a USB stick if you need to take it round to a friend's house and help them recover their iTunes Library. 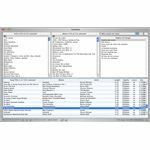 While YamiPod is also a solution on Mac OS X for transferring music files from a Nano or iPod Classic, Senuti is a program that will allow you to access your iPod Touch or iPhone songs from an Apple computer. While Senuti is not free, it does have a demo version available that allows you to transfer up to a 1000 songs from iPod to iTunes over a period of 30 days, and with the smaller storage capacities available on the iPhone and Touch ranges this will probably be enough for most users. Senuti will recover the entire music contents of your iPod to your computer in one go, or you can use its useful ability to compare songs on your iPod and in your iTunes Library and only transfer what is missing from iTunes. For more information, read our Senuti review. Apple's move to prevent the ability to songs from iPod to computer was understandable in the light of concerns over piracy, but as iTunes has grown in popularity many users have developed music libraries totaling many gigabytes. If an accident happens to these, then often their only remaining copy of their songs are on their iPod. 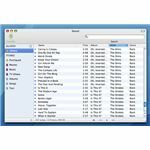 Fortunately, software such as that listed above now means that if something happens to your iTunes Library, you no longer have to worry about how to move music from iPod to iTunes.